Both Megan and I were awarded National Science Foundations/Japan Society for the Promotion of Sciences summer fellowships. We got the opportunity to conduct research in Tsukuba, which is located about 60 KM northeast of Tokyo. 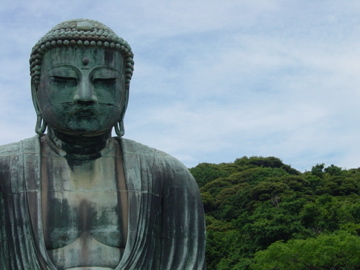 Every weekend we traveled to a different part of Japan: Hayama, Kamakura, Nikko, Nagoya, Mt. Fuji, Kyoto, Koya-san, the Japanese Alps, Hiroshima, and the Inland Sea. To read and see more about our trip, you can check out our travel blog. Megan and I were married on June 28, 2005 at Culcreuch Castle on a rare sunny day in the Scottish Lowlands. Our friends and family traveled from both the United States and the British Isles for a week for revelry around the castle. Our honeymoon was a 95-mile hike along the West Highland Way. During my a break from school, Megan and I spent two weeks traveling around Northern Italy. We started in Tuscany where where we spent the days exploring old towns (Florence, Siena, and San Gimignano) and finding picnic spots. We then traveled to Cinque Terre where we rented an apartment on the main square in Corniglia. The daily treks and the homemade pesto were all that one really needs. We finally ended up in Venice where we lived like royality. The highlight of my West Africa trip was spending a week in a Lokpano, a small village in the north of Togo, where Megan was doing two years of Peace Corp service. The days were full of weeding soy fields, taking drum lessons, playing soccer and reading by candle light. The second part of the trip involved exploring the beaches and old forts on the Ghanian coast with Megan, Peter and Cassandra. My buddy Peter took a short sabbatical from work to accompany me on a two-week cross country trip before my grad school orientation. The trip started in central Jersey and end up in San Diego CA. Seeing this country is something that all Americans should do. I spent the year after my college graduation teaching at Ngee Ann Polytechnic in Singapore through the Princeton-in-Asia program. The year presented the opportunity to travel to many places and to meet many people. The images in this album are a "best of" of the various trips that took me from Nepal to Australia and many places in between.